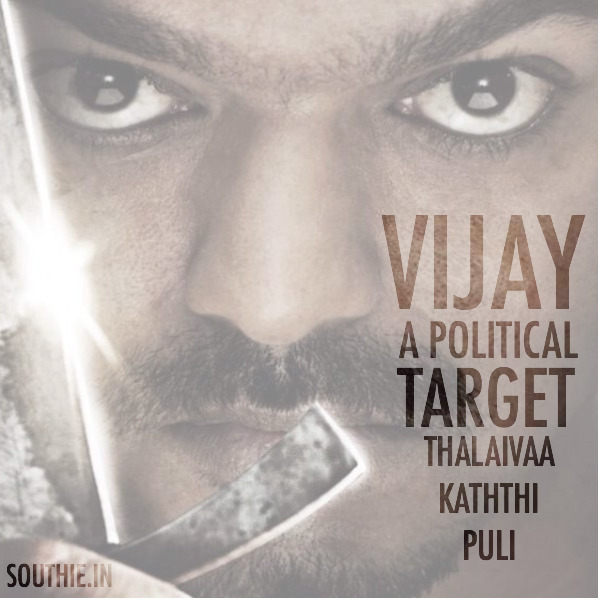 Vijay targeted politically to get benefit out of his movies. Home/NEWS/Vijay targeted politically to get benefit out of his movies. Vijay targeted politically to get benefit out of his movies. Most of his movies in the recent times have been tangled in a conspiracy. Why is Vijay being targeted politically with every movie of his Thalaivaa, Kaththi and now Puli, all the movies have been politically targeted, mainly because the Television rights would have been given to the rival channels, of the Party in Power. The morning shows on Oct 1st of Puli have been cancelled, and the Producer was helped by Vijay to clear all financial hurdles to release the movie.